Take the guesswork out of knowing who belongs in your organization with the new Datacard 123 Easy ID. A completely integrated ID card system conveniently packaged all in one box, 123 Easy ID makes it cost-effective for you to issue ID cards in three easy steps. With the 123 Easy ID, smaller organizations can implement ID security at a price that"s within reach. Everything you need to create high quality color photo ID cards is included in the 123 Easy ID printer, software, camera, cards and supplies. 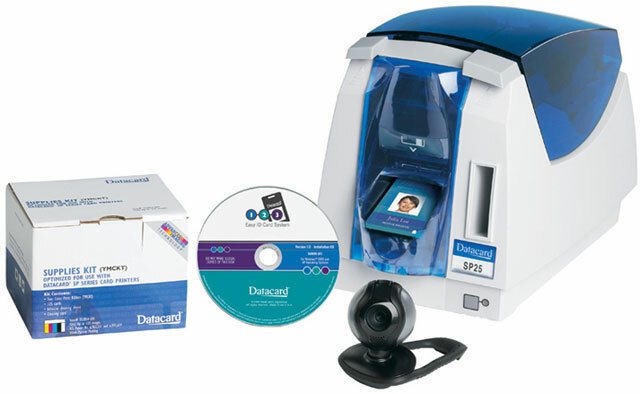 Simply open the box, install the software contained on a single CD, and you"re ready to create ID cards in a matter of minutes. It's an awesome product, very easy to use and manage, It prints ID cards very quickly. I would recommend it to everyone.